This is turning into the NSX all over again. Brace yourselves for another long wait before the Supra finally arrives in production form. After working ourselves into a frenzy expecting the production Supra in Geneva this week, we’ll have to make do with ogling the online and racing it virtually on Gran Turismo Sport on PS4 (starting in April). After years of hemming, hawing, and finding a dance partner for development, Toyota finally has the ball rolling with Supras and BMW Z4s being spotted testing everywhere on the planet, but this is starting to feel like the NSX all over again. 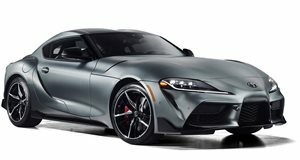 While we held out hope for a production reveal this month in New York, Toyota Great Britain responded to an inquisitive user on Twitter, “We think hearing that the road Supra will be revealed in the first half of next year might be of interest!” “First half of next year" could be next year’s Detroit auto show, or as late as next year’s New York show, rather than the New York Show coming up in just a few short weeks. Toyota USA confirmed the debut of the production model to Motor Trend, but we still have very little in the way of concrete specs confirmed by Toyota. At least that reveal will be followed with deliveries of the long-awaited Toyota sports car: again Toyota GB on Twitter gave us the timeline: “The production model will be available in 2019, more details will be available closer to this time.” That could still be as much as 21 months away, but we can still hope that Toyota gets back on track and starts delivering cars to customers within the first half of 2019.